An eight-minute walk south from Hiroo Station along Gaien Nishi-dori will lead you straight to Chicken Works, opened in early summer of 2017. 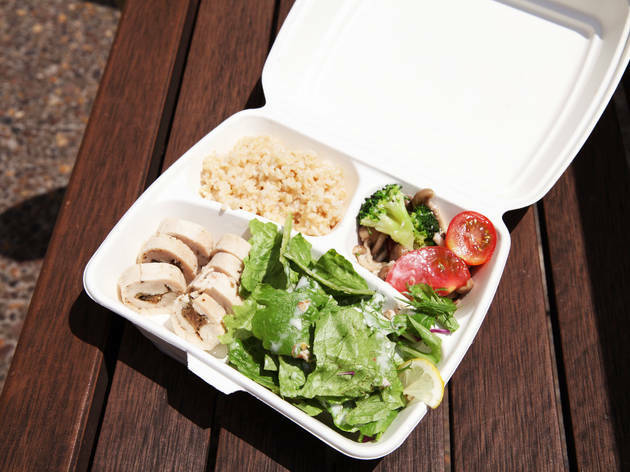 Everything on offer here is healthy and low on calories – just as you'd expect from a chicken specialist. 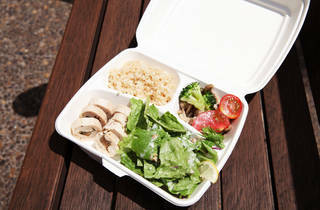 The ¥900 box sets contain one piece each of breast, tenderloin and leg, plus two kinds of fresh salad and some rice. Takeout-only and open until 10pm every day, it could be a good options for locals looking to cut down on calories after dark.